Meet in front of Cafe Bookshop, Depart at 10.30 am 11.00 am – meeting Paul, our guide, at Cranfield village; by the gate where the footpath from Cranfield University leads into the road (click on the hyperlink to see the point as an arrow on this map). For those who live in Cranfield village, you can join us there at 11 am. Total walk length: circa 13.5 km (8.5 miles) Return: circa 15.30 hours Bring with you a packed lunch and a drink (optional stop at Co-op supermarket) Please wear appropriate footwear and clothing for a walk on country footpaths. There is no cost associated with attending this walk. Have a look at this website on the day of the walk to see if there’s an update. Paul, could you tell us more about the planned walk on 15 October? 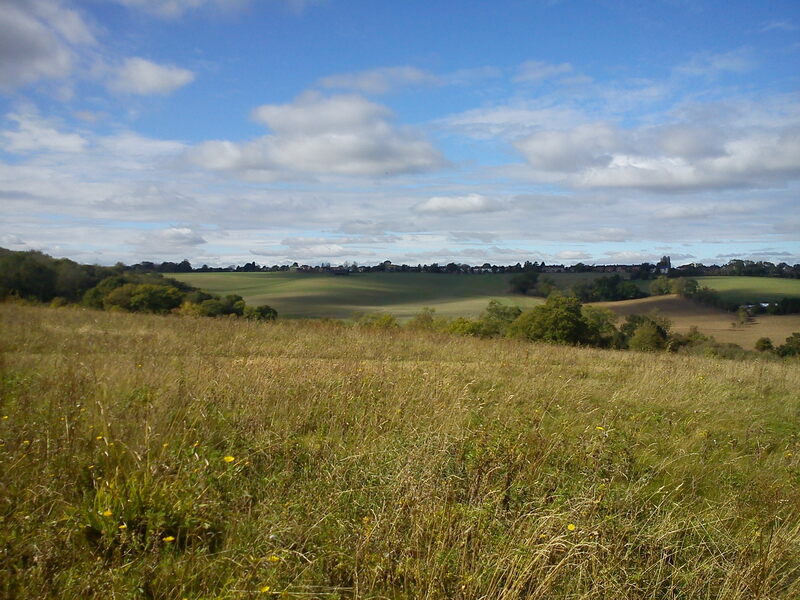 This will be a circular walk from Cranfield village in south-easterly direction, taking in woods and open fields; providing good views of the undulating countryside. It will introduce students to some of the features of Bedfordshire with a bit of information on the industrial history of the area. This route might be bit muddy and there’s one very low stile to cross over. I was brought up in London and started rambling in my early teens, with school friends, catching the train on Friday evening out into the countryside, then walk to a youth hostel. Next day, after we done the chores, on to another for the night, then back home on Sunday in time for tea (or so we promised). I have lived in Cranfield for some 22 years now. In England there’s many pleasant walks taking the views, going somewhere of particular interest or just want to get out. But my favourites are the expeditions with my son and grandson. What advice would you give to our walkers or what useful information could you share with us? This link gives some independent help in choosing walking boots: http://www.which.co.uk/news/2010/04/which-reveals-the-best-walking-boots-207719/ Sometimes TK Max, a shop In the Centre Milton Keynes, has reasonable quality walking boots at discounted prices. This entry was posted in Blog, Walks and tagged Bedfordshire, Cranfield village, Forest of Marston Vale, rambling, walking, walks. Beautiful sunny day, a lovely walk led by Paul, our guide. Altogether, 37 of us attended this walk. It was nice to see so many new students, both members and non-members of our walking society, coming along to explore the countryside around Cranfield village and the Forest of Marston Vale.